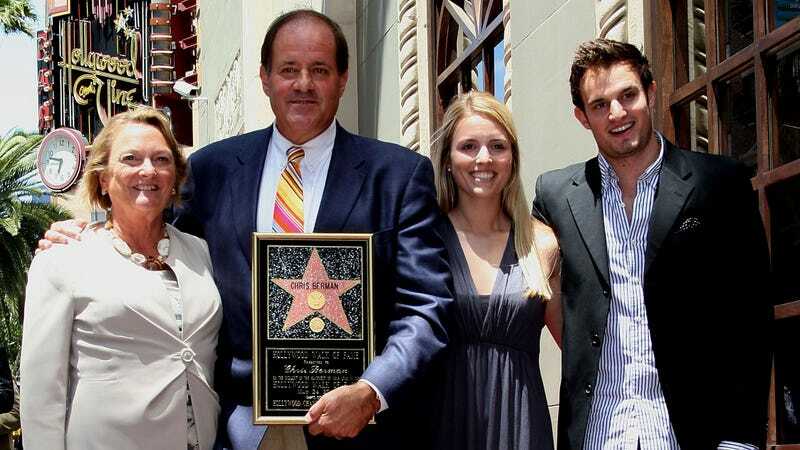 Kathy Berman, wife of longtime ESPN anchor Chris Berman, died in a car crash Tuesday afternoon. She was 67. According to Connecticut state police, Berman was driving on 2:15 p.m. on Route 64 in Woodbury, and collided with another driver. Edward Bertulis, 87, was also killed in the crash. Per state cops, after Berman’s 2003 Lexus SC 430 rear-ended Bertulis’ Ford, Berman’s car went down an embankment and overturned in a pond. Kathy and Chris Berman were married for 33 years; the couple lived in Cheshire, Conn. Berman met his wife, a teacher, when he faked car trouble in order to ask her out on a breakfast date. They had two children, Meredith and Douglas.